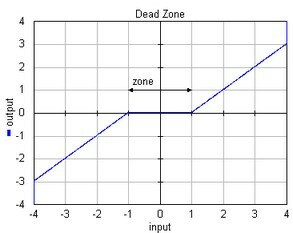 This model generates zero output when the input is within a specified region, called the dead zone. Otherwise the output equals the input plus or minus half the zone. Only single signals (i.e. signals of size 1) can be connected to this model.